Knowning where our food comes from is one of the most important issues when shopping for it. Not only the location, but who harvests it as well and the energy that’s being up into it. Know your butcher, your baker, your farmer; being in the food industry, we all need to respect the fact that others are trusting us, because what’s more important than consuming and nourishing ourselves with good for you foods? Today we celebrate National Food Day and throughout the web you’ll find post about it. What is Food Day? It’s time to eat real, America. On October 24, 2011—and on the days and weeks before and after—thousands of Americans will gather in schools, college campuses, farmers markets, City Halls, and state capitals to talk about what’s right and wrong with our diets and whole food system and how to fix them. Morning Glory Farm, in Edgartown, Martha’s Vineyard is a must-visit farm when you’re on the Vineyard. There aren’t Alpacas (for those, head to the Alpaca Farm in Vineyard Haven), but the amount of gorgeous, locally harvested produce is worth the visit, plus delicious baked goods made fresh daily. It can’t get any better! Well, it actually can: you can eat your purchases on picnic tables sprinkled around the property, getting your daily Vitamin D from the special Vineyard sunshine. Farmed by Jim and Debbie Athearn since 1979, they are the biggest vegetable producers on island, with amazing seasonal produce. My favorite? Their sweet corn, specifically the Bi-color Sparkler! Right now the front of the greenhouse is decorated with hundreds of pumpkins, making it a perfect fall backdrop. 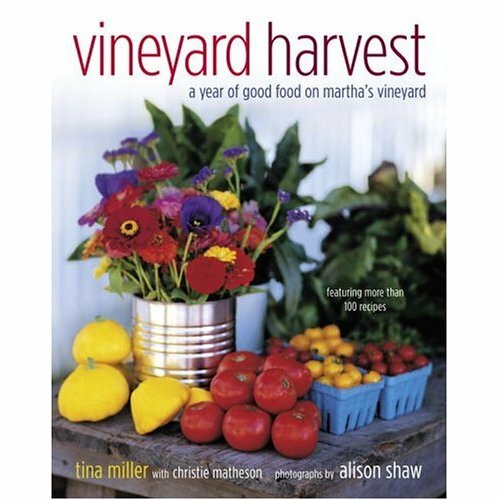 While at the Edgartown Library, I stumbled upon the book “Vineyard Harvest: A Year of Good Food on Martha’s Vineyard” by Tina Miller with Christie Matheson. In it was a recipe for Macoun Apple Brandy Cake. Although I couldn’t get my hands on Macoun Apples, I got a variety of crisp apples from Morning Glory Farm and decided to test out this apple cake. 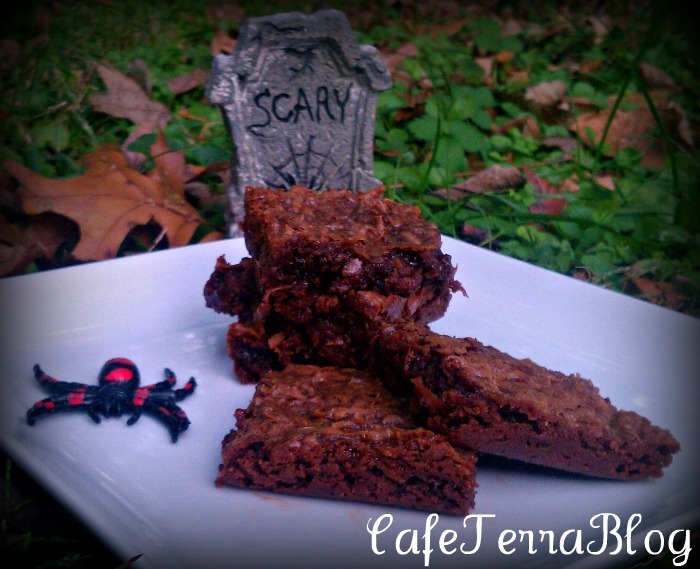 It’s such a simple recipe, no mixer needed and the results are perfect for coffee or tea time, or as a late night snack. It has apples, so it’s definitely a health food! Preheat oven to 400F. Grease a 9-inch pan. Whisk the dry ingredients together to aerate them. Add the wet to the dry and stir until blended. Fold in the sliced apples. Pour batter into prepared pan and bake for 35 minutes. Preheat the broiler and for the brandy topping, whisk sugar, brandy, butter and egg. Pour immediately on baked cake and broil until golden brown. Serve warm or cooled, with a dollop of whipped cream and chocolate sauce. When you make this cake, you’ll notice the ratio apples to cake batter is 2:1. Since the amount of apples is almost double of the amount of batter, it is more like a rich custard laced through moist apple slices then cake. Want to do more than just read a delicious apple recipe? Head on over to the links below and share the Food Day love! alpacas to anyone who’s interested. I LOVE anything with apples and your cake looks soooo good. And I love that it doesn’t even require a mixer. I can’t wait to try it out. YUM! Regardless of how healthy it is, I would still eat a piece or three! And another plus–yay for real food day. Hopefully it won’t be too long before there’s no need for a special day. We’ll all just eat real food. This looks so good. I want to make this! I love the 6 Food Day Principles, thanks for sharing amd yummy apple brandy cake. wow apple brandy. you always have such unique combinations together. hehehe who got to enjoy this yummy cake? someone special i bet. missin u. Just gorgeous, Nelly! A beautiful, seasonal cake. So satisfying knowing the land and hands that cultivate our food! 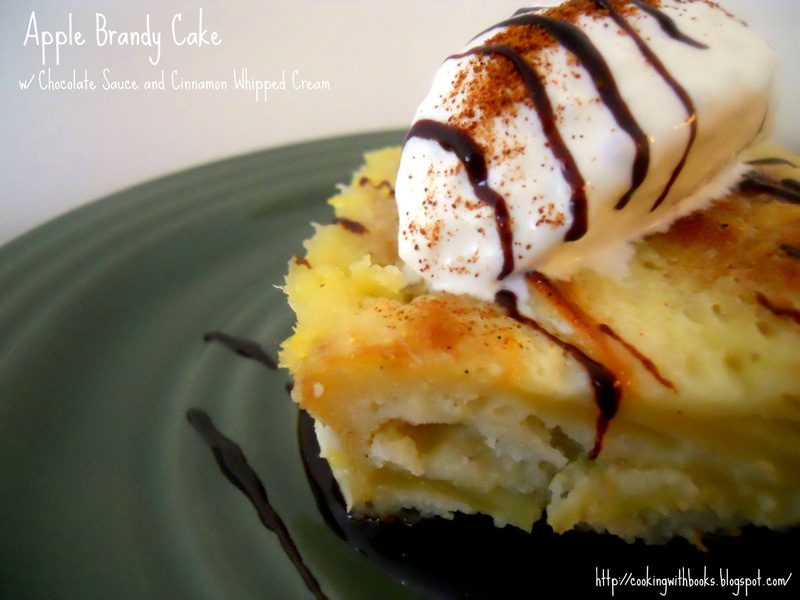 I want those apple brandy cakes!